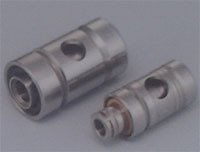 High reliablity has been achived by special and high performance seals. 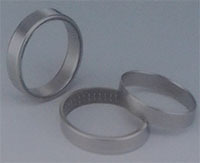 NSK offers a wide line of bearing to meet all requirement. High relability achived by special grease and high performance. NSK offers a wide line of bearing to meets of every type of belt and layout. High capacity and high moment rigidity have baan achieved by increassing the limited number of balls in the front row. The cartridge bearing has tittle mechanical loss while requiring no preload setting. Highly reliable alternator bearings that offer high performance, hight temperatures conditions, high speed whithsealing bearings.